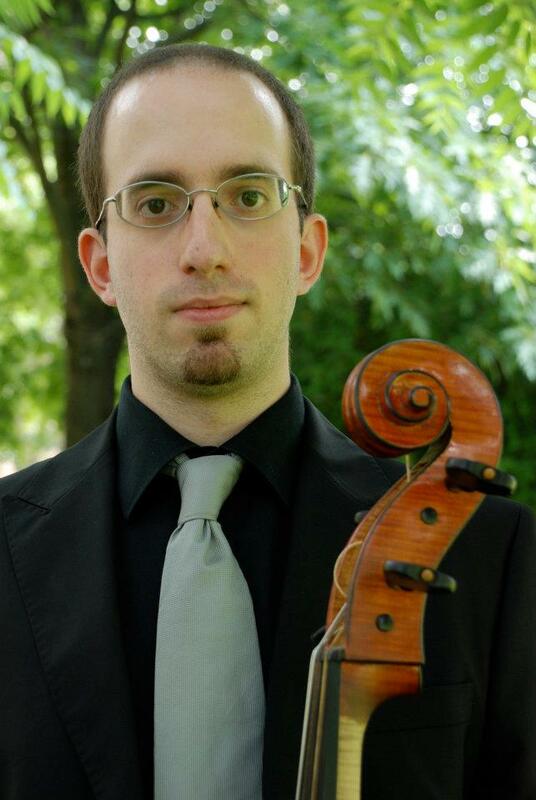 Born in Genova in 1988, Nicola Paoli commences cello studies with R. Rebaudengo at the age of six and completes his diploma in 2009 from the Conservatorio N. Paganini of Genova, under the guidance of M. Ronchini. He performs extensively as soloist, in chamber music, symphonies, lyric or comic operas, recordings for CDs, films and documentaries soundtracks. With pianist Emanuele Delucchi he is doing a project of repertoire for cello and piano, including sonatas by Beethoven, Schubert, Chopin, Brahms, Rachmaninof, Prokofiev. Since 2009 Nicola studies baroque cello with Gaetano Nasillo at the Milano Civica Scuola di Musica, where he obtains a bachelor degree with honors in 2012, and a master degree with honors in 2014. He attends masterclasses by Charles Rosen, Barthold Kuijken, Diego Fratelli, Marc Hantai and he also plays in many concerts as principal cellist or as a soloist with Stefano Montanari, Lorenzo Ghielmi, Paolo Rizzi, Antonio Frigé, Shari Rhoads, Roberto Balconi, Marcello Gatti, Alfredo Bernardini, Carlo De Martini, Gianni De Rosa. He takes part in courses with Federico Guglielmo, François Fernandez, Manfredo Kraemer, Balázs Máté. Since 2010 he attends early music courses in Granada with Jaap Ter Linden, Corrado Bolsi, Catherine Manson and Wilbert Hazelzet. He collaborates with various artists and early music groups such as Marco Zambelli, Arcantico Ensemble, under the guidance of violinist Cinzia Barbagelata, Concerto Ecclesiastico, Arcomelo, under the guidance of Michele Benuzzi, Il Cimento degli Affetti, Il Convitto Armonico, Baschenis Ensemble, Accademia Hermans and many others. He is the cellist and co-founder of Abchordis Ensemble, recently created by ten young international musicians; they win two residences of Académie Baroque Européenne d’Ambronay, and they are elected by the “European Early Music Network” members as the best young ensemble among the “REMA Competition 2012” winners. They are invited in the Ambronay Festival 2012, the festival “Les Riches Heures de Valère” in Sion, Switzerland, the festival “Mars en Baroque” in Marseilles, “Anima Mea”, in Puglia, Italy, to record for the Swiss Radio-Television (Espace 2), and other events. Nicola wins the auditions of European Union Baroque Orchestra (EUBO) in april 2013. With this group he performs concerts in all Europe, including some of the most important early music festivals, such as MAfestival Brugge, Festival Oude Muziek Utrecht, Poznan Baroque, Festival de Musica Antiga dels Pirineus, Bach Istanbul’da, Stockolm Early Music Festival and many others, under the direction of Lars Ulrik Mortensen, Gottfried Von Der Goltz and Stefano Montanari, playing with artists such as Zefira Valova, Lorea Aranzasti Pardo, Kinga Ujszaszi, Bojan Čičić, Anne Freitag, Johannes Pramsohler and Huw Daniel, and recording for several european radios and televisions, including “Radio Klara (Belgium), “AVRO Radio 4” (Holland), “Radio Zadar” (Croatia), “Hessischer Rundfunk” (Germany), “Radio Merkury” (Poland), “DR P2” (Denmark), “P2 Musik” (Sweden), “Catalunya Musica” and “BBC”. Nicola has been invited to play in the EUBO also for the year 2014, with planned tours with Rachel Podger and Sergio Azzolini, besides the aforementioned Music Director Lars Ulrik Mortensen. In September 2014 he starts a Master at Schola Cantorum Basiliensis with Cristophe Coin.